For the last couple of weeks, and exclusively due to Palmeiras’ real possibility of clutching the club’s first national title in 14 years, I’ve been keeping a positive agenda. This post… Well, a handful of incidents make it impossible to keep quiet. 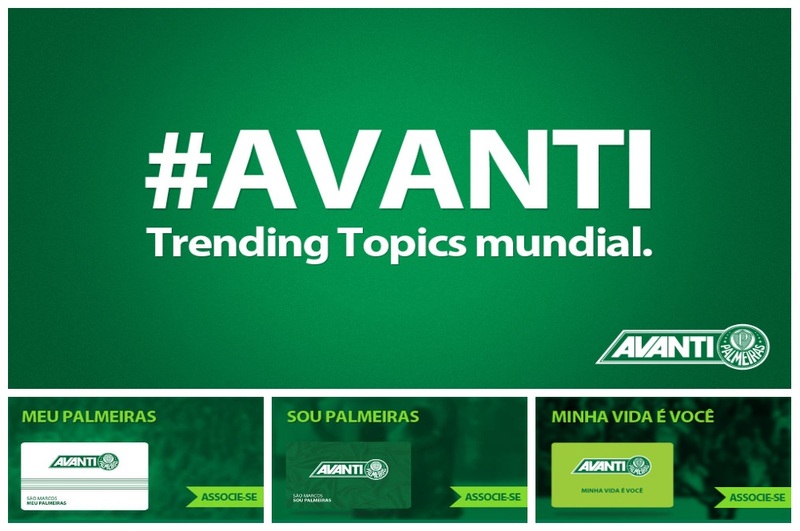 Yesterday afternoon, Palmeiras’ heavily criticized supporter programme Avanti was re-launched. The overall shortcomings of the original programme seem to remain and I will designate a post exclusively for the topic in a near future. What’s important right now is the decision (with immediate effect) to couple up the pre-purchase of game tickets to being a member of Avanti. This means that being a member is the only realistic way to secure tickets for the first semi-final game against Coritiba. Perfect timing if you want to boost adherence. Perverse timing if you care for your customers. Yesterday evening we saw an avalanche of supporters trying to renew or adhere to the programme and the site crashing time and time again. No-one was reachable on customer support. In addition, there was no info about the re-launch to be found on Palmeiras’ homepage at the time of release (it’s up now) and the old Avanti homepage was still operative. The amateurism of these people never ceases to amaze. Would you believe they even have the nerve to brag about the hash tag “Avanti” being on the international “Trending Topics” list (screen dump to your right)? Thousands and thousands of supporters ventilating their frustrations on twitter and Palmeiras are PROUD for being on the TTs? Please wake me up from this nightmare. Let’s move on. The first leg of the Copa do Brasil finals was initially scheduled for Wednesday 4 July, but then rescheduled by the Brazilian Football Federation (CBF) to the day after in order not to clash with the Corinthians vs. Boca Juniors Libertadores final. Fair enough. Yesterday, a new re-scheduling was announced, delaying kickoff with 45 minutes, indicating that TV network Globo intends to show the game on their open network and were making adjustments – of course not to their grid but to the game. What about all supporters who now are left without any public transport option for returning home from the remote Barueri arena? Screw’em. The second leg of the abovementioned finals happens on 11 July. Just like Corinthians, Palmeiras filed a request with the CBF to have their sandwiched game in the Brazilian Championship postponed, thus allowing for a complete focus on the Brazil Cup finals. Corinthians request was granted. Palmeiras’ wasn’t. Did our directors raise hell? Not really. Screw Palmeiras. Against Grêmio, we saw centre-back Henrique receive the red card in a completely and utterly unjustifiable manner. I mean completely. A more than strong case, if I’ve ever seen one, for successfully challenging the referees decision in the Brazilian Sports Tribunal, the STJD. What does Palmeiras’ legal director Piraci de Oliveira convey to journalists the day before submitting the appeal? “We’ll try to act, show that Henrique isn’t to blame, but it’s difficult. I admit not believing it will happen. It’s difficult, but we’ll try”. With that looser mentality, for sure they’ll screw Palmeiras. If we bring this Brazil Cup title home, it’s in defiance of everything and everyone. Speaking of Piraci de Oliveira: the man is doing his outmost to redefine “embarrassing”. Not much good seems to be coming out of his legal department but the man is frequently – and especially on social medias like twitter – finding time to voice his opinion about absolutely everything regarding Palmeiras, mock supporters who dare to question him in any way and flirt with young, preferably blond, girls. “Pathetic” doesn’t quite cover it anymore. Adding insult to injury, Mr de Oliveira’s goal seems to be the club’s presidential elections in 2015. Imagine that, dear reader. Are you ready to redefine “screwed”? If someday Piracy become president of our Club, I’ll just keep my feet on the ground and wait on the line for some title. The thing just get worst. I just can’t accept that a Club THAT big be led by amateurs. Our history doesn’t deserve that.